In November of 2016, the world witnessed the inconceivable. Nearly every household in The usa was tuned in to the election feeds, and every update pointed to a loss for the Republican Party. But when the map of the states flipped red in the final hour, there were a select few who weren’t surprised. They had all the time known Trump was going to win. He was chosen for this sort of time as this. The prophecy had said so. This prophet, this reserved man of God, was retired firefighter Mark Taylor. The word given by the Holy Spirit was delivered on April 28, 2011 in the course of the most debilitating sickness a man could ever experience. 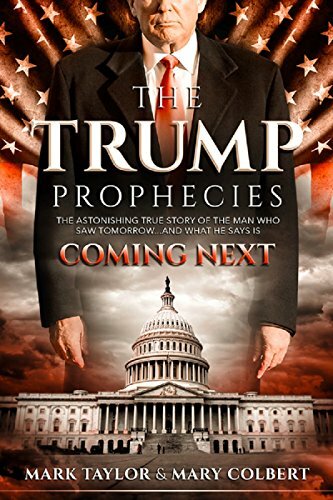 When the prophecy later fell into the hands of New York Times bestsellers Don and Mary Colbert, God used this new team of passionate individuals to lead the nation into a fervent prayer chain that would accomplish one of the implausible miracles our country has ever seen. What is coming next for the most powerful nation on this planet today? Mark Taylor has more to say.